Welcome to the Ryan Lemmon Foundation website! 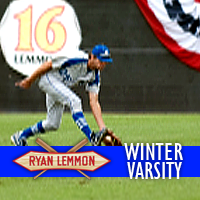 The Ryan Lemmon Foundation Winter Varsity Baseball League at Ryan Lemmon Stadium, Windrow Park, Irvine. 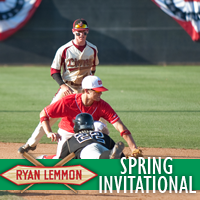 The Ryan Lemmon Foundation Spring Invitational. Complete as much Player Profile information to be used by announcer There is no Charge to the players The Senior Showcase features the Ten Orange County California leagues-The top players from each league compete in a game to culminate their senior year. All teams selected by the league coaches. An elite group of Sophomores (Class of 2021) have been nominated to participate in the 13th Annual Ryan Lemmon Foundation Sophomore Showcase & Game. 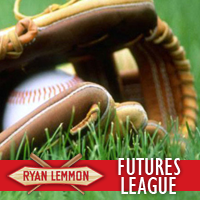 The Ryan Lemmon Foundation was created in 1995* as a non profit organization. The Foundation mission and purpose is to provide organizational and financial support to the high school baseball programs in the Southern California region. The Foundation’s “flagship” event is the South Orange County Showcase for area seniors, now in its seventeenth year. The June event is an All-Star baseball two day event that includes 48 high schools. The event is televised throughout the summer and is the crowning highlight for many young men’s high school athletic career. The Foundation also hosts the Orange County high school Fall and Winter leagues. Starting with June 2006, the Foundation has added a Sophomore Showcase to its programs. The Foundation is dedicated to helping student athletes pursue their athletic career beyond high school by offering scholarships. These scholarships are awarded to deserving young men who through hard work, on the field and in the class room have earned the respect of coaches, teachers and peers. They have demonstrated good sportsmanship and positive attitudes. The Foundation relies on contributions. Get involved by clicking on the donations or sponsorships page. You can purchase an ad in the program, buy a banner, monetary contribution, or be a corporate sponsor. These contributions help support the student athletes with scholarships. 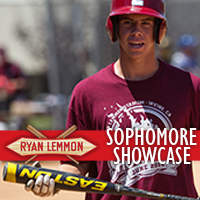 Ryan Lemmon was a lifetime Irvine resident who graduated from Woodbridge High School in June 1993. His accomplishments included being a four year varsity starter in baseball and he was awarded the Scholar Athlete at Woodbridge in 1993. He died in a car accident following his first year of college at Pepperdine. 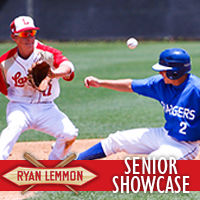 With the Irvine City Council’s approval and the broad support of the community the main field at Windrow Park was renamed Ryan Lemmon Stadium. A life size bronze statue is prominent at the park recognizing him and symbolizing the virtues of youth athletics. Following Ryan’s death, his Father formed the Foundation as a means of creating a way to “give back” to the baseball community.